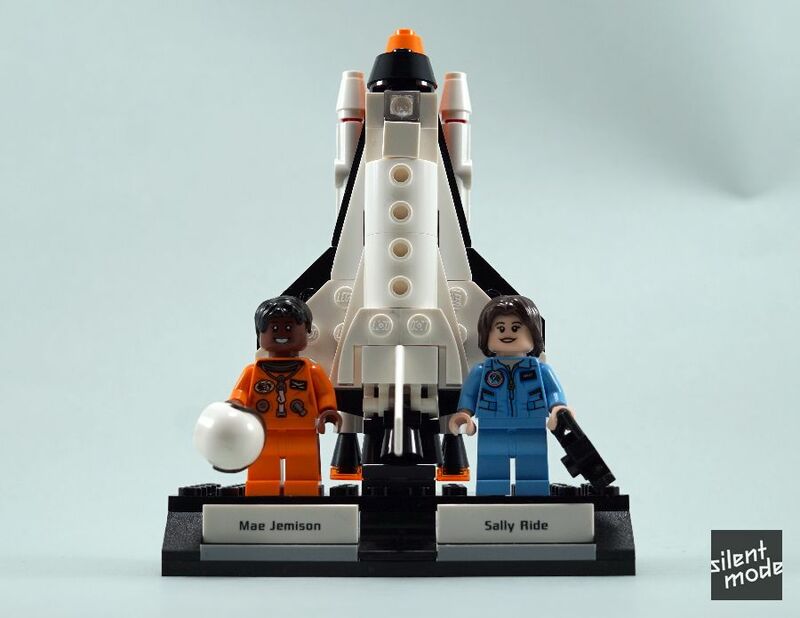 Sally Ride gets my vote as the coolest of the females featured in this set. Many could learn from her insistence on “being treated the same as any other astronaut” (and not insisting on having special treatment because of xyz). Unfortunately she’s the only one of the four who wasn’t alive to see this set being released… Or, just as importantly, my review. Sally is rocking a Medium Blue outfit, which is obviously a space uniform, but could easily pass as casual wear. By the way, all of the minifigures have double-sided heads. Unlike with the Research Institute, both sides of each figure have smiling faces. Sally was the first American woman in space, so she joins Mae in front of the space shuttle. I’m baffled as to why Sally has a camera.